Með þessum myndum minnum við á yfirstandandi sýningu Arkanna: ENDURBÓKUN í Spönginni Menningarhúsi, en henni lýkur laugardaginn 3. október 2015. Sýningin er opin á opnunartíma bókasafnsins: mánudaga til fimmtudaga frá kl 10-19, föstudaga kl 11-19 og laugardaga kl 12-16. Sjá má fleiri myndir af bókverkum á fyrstu sýningu ENDURBÓKUNAR hér and hér. 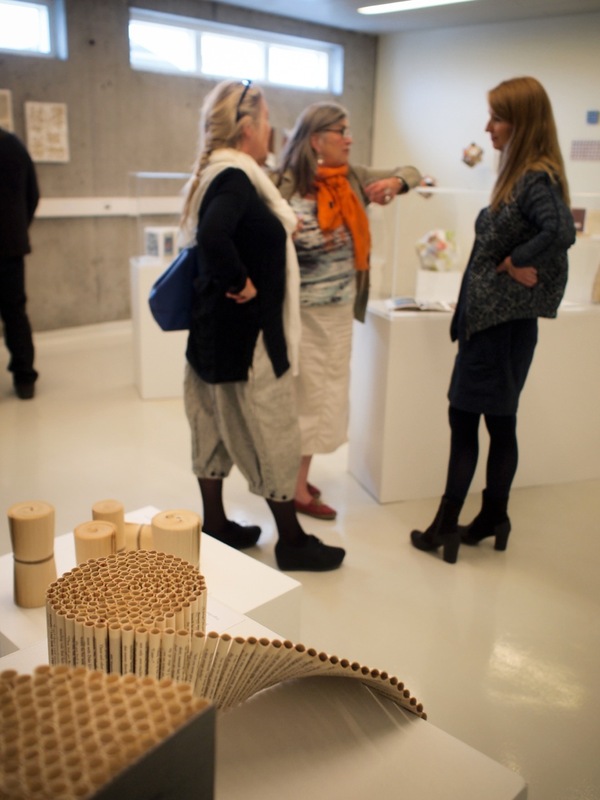 ARKIR’s exhibition ENDURBÓKUN – RE-BOOK at Spöngin Culture House, has been well received since the opening on July 1st. WIth these photos we would like to make a note that the exhibition closes on October 3rd 2015. Check out more photos from ENDURBÓKUN here and here. Ljósmyndir / photos: Kristín Þóra Guðbjartsdóttir og Áslaug Jónsdóttir. Hratt líður stund. Við áttum alveg eftir að gera opnun sýningarinnar ENDURBÓKUN í Spönginni Menningarhúsi skil hér á vef ARKANNA. Sýningin opnaði þar 1. júlí með ljúfri stemningu. Sýningarlok eru 3. október. Við þökkum góðar viðtökur í Grafarvoginum. How time flies! 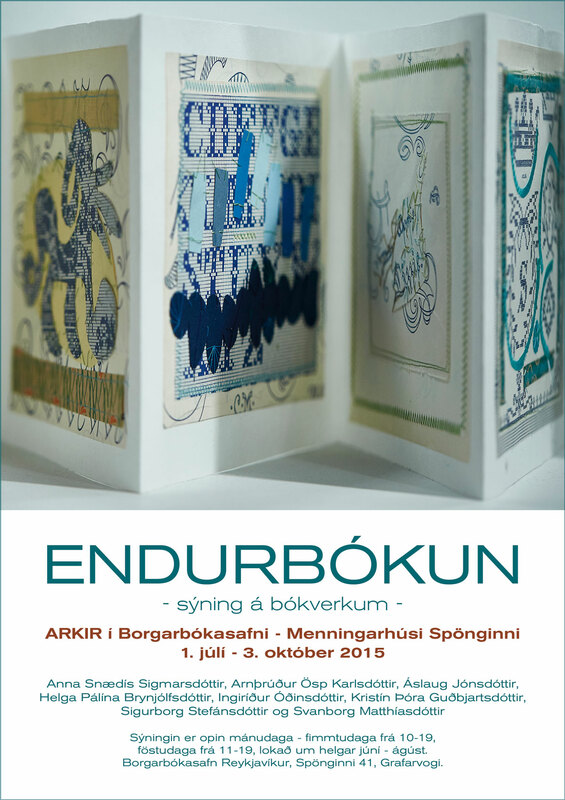 We opened the third variant of our book art exhibition ENDURBÓKUN – RE-BOOK in the City Library, Spöngin Culture House, on July 1st, but we haven’t posted any photos from the opening yet. So now we do! Make sure you check out more photos from ENDURBÓKUN on this blog. The exhibition closes on October 3rd. Við enduropnum endurnýjaða ENDURBÓKUN í Borgarbókasafni – Menningarhúsi Spönginni í dag, 1. júlí kl 17. Verið velkomin á opnunina! Flest verkin voru sýnd í Gerðubergi á síðasta ári og snemma vors á þessu ári í bókasafni Reykjanesbæjar, en ný og áður ósýnd verk er einnig að finna í Spönginni. Sem fyrr eru verkin unnin úr aflóga bókum, að megni til afskrifuðum bókum frá Borgarbókasafni. Sýningin stendur til 3. október. 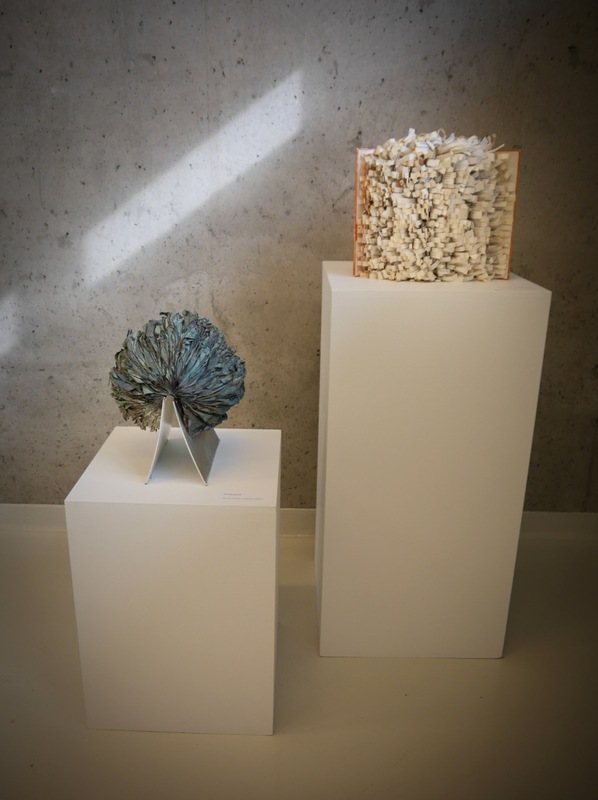 Our exhibition ENDURBÓKUN / RE-BOOK has found its way back to Reykjavík from Reykjanes and will now open in Spöngin Culture House, one of Reykjavík City Library branches. 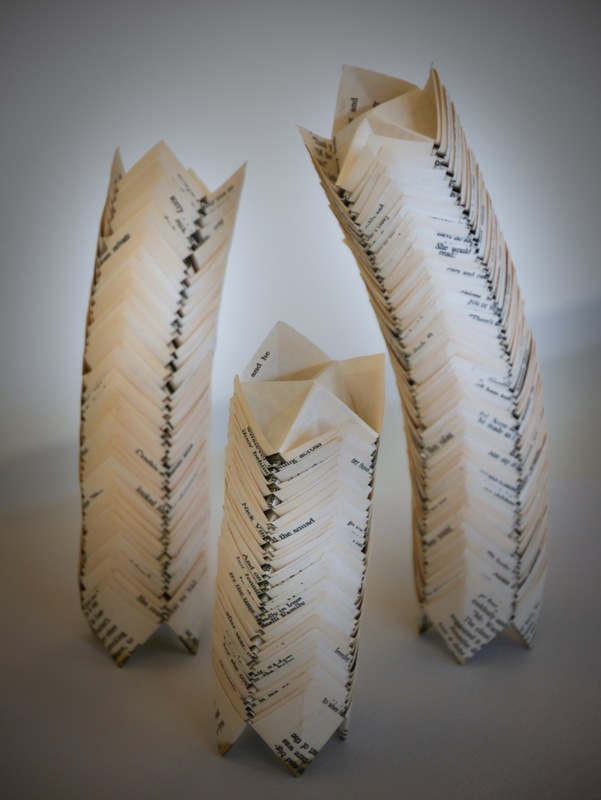 This is our third version of this exhibition, with works created from old books, mostly discared books from Reykjavík City Library. To every exhibition we have added some new works. ENDURBÓKUN in Spöngin Culture House will be open until 3. October, see the library opening hours. Welcome to opening today, 1. July at 5 pm!